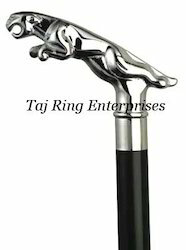 Pioneers in the industry, we offer telescope cane walking stick, brass walking stick, dog head walking stick, vintage walking stick, brass handle walking stick and brass head nautical walking stick from India. 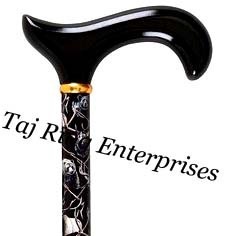 Item Code:- TRE-WS01 Finishing:- PolishBrass Shiny Polish Finish Walking Stick With Hidden Telescope in the cane Made by high quality brass and Indian high quality seasoned sheesham WoodIts handcrafted item with shinning brass & wood finish. Item Code:- TRE-WS02 Finishing:- PolishMade by high quality brass and Indian high quality seasoned sheesham WoodIts handcrafted item with shinning brass & wood finish. Awesome Style Brass Marine Walking Stick Made by high quality brass and Indian high quality seasoned sheesham WoodIts handcrafted item with shinning brass & wood finish. 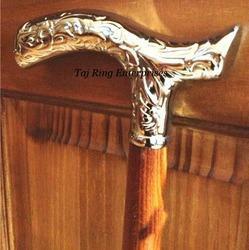 Awesome Style Replica Finish Brass Cane ..